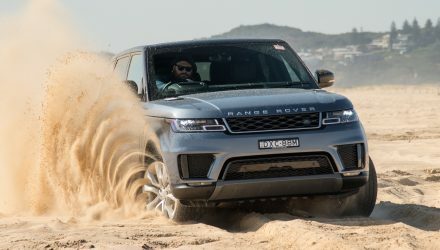 Land Rover is on a winning streak at the moment, making firm ground in luxury SUV sales with the stylish Range Rover Evoque, the new Discovery Sport, and the mighty and majestic Range Rover Sport. How does its second most iconic model shape up in these modern times? 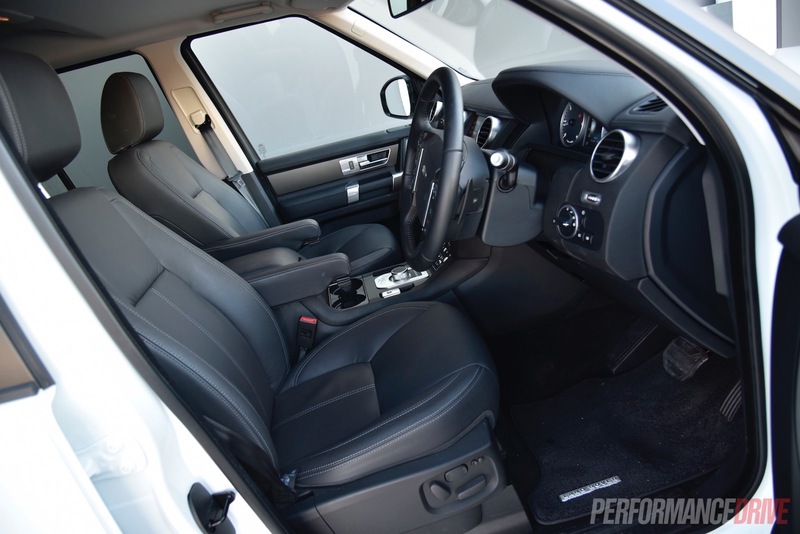 We’re testing the 2016 Discovery SDV6 in top HSE form to find out. 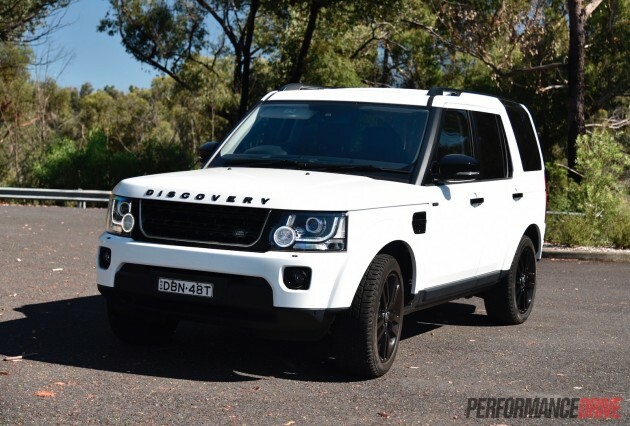 With the legendary Defender now out of production, the Discovery is the company’s oldest model in the showroom. It hasn’t been updated since the fourth generation debuted back in 2009. 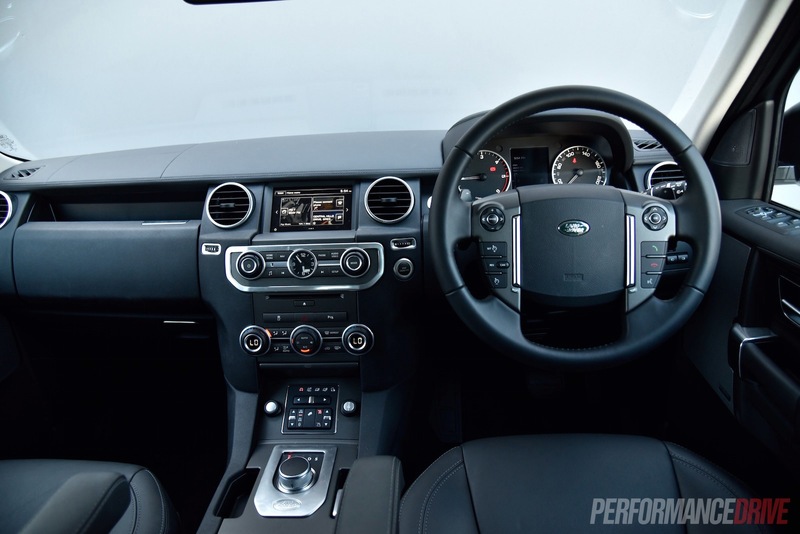 It has, however, gone through a number of tweaks and updates in recent years, with the MY2016 adopting some of Jaguar Land Rover’s latest technologies and on-board gadgets. 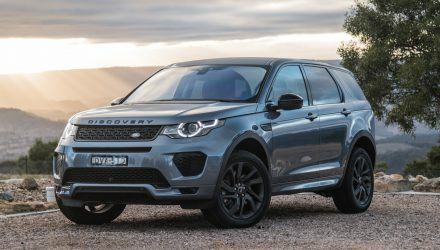 Needless to say, the MY16 puts the Discovery in its best shape yet, offering modern seven-seat luxury and rigorous all-terrain capability. 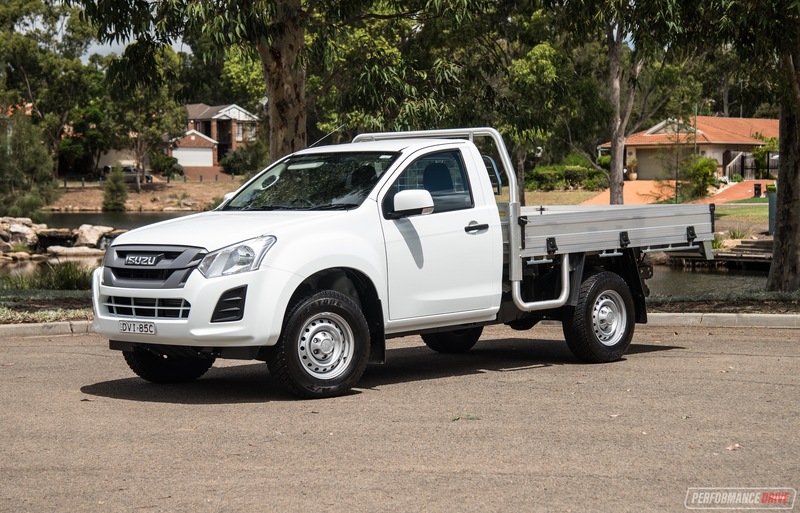 Prices for the SDV6 HSE start rather steep, from $96,290, but you can get into the base model TDV6 from $69,360. 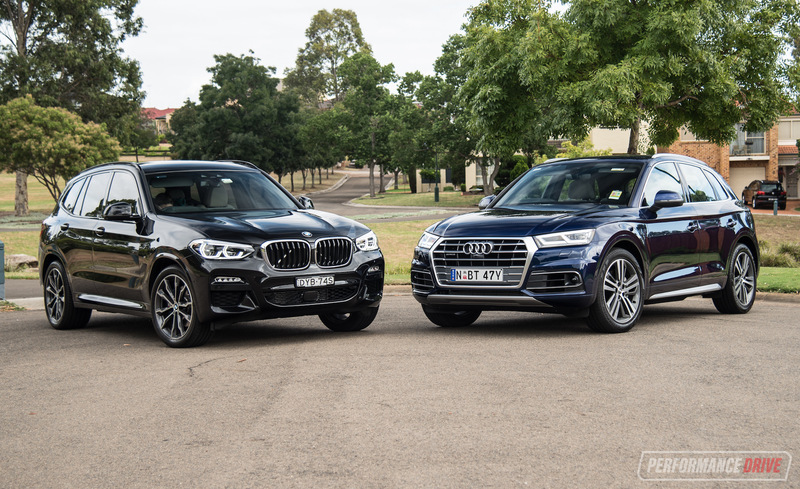 Going for the SDV6 brings 183kW and 600Nm from the twin-turbo diesel, over the TDV6’s 155kW and 520Nm outputs. 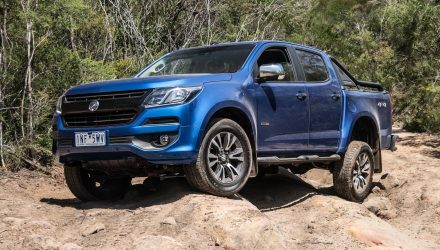 All models feature a clever four-wheel drive system as standard. Unfortunately, we did have to cut this review short due to a minor breakdown – we’ll go into that later on. 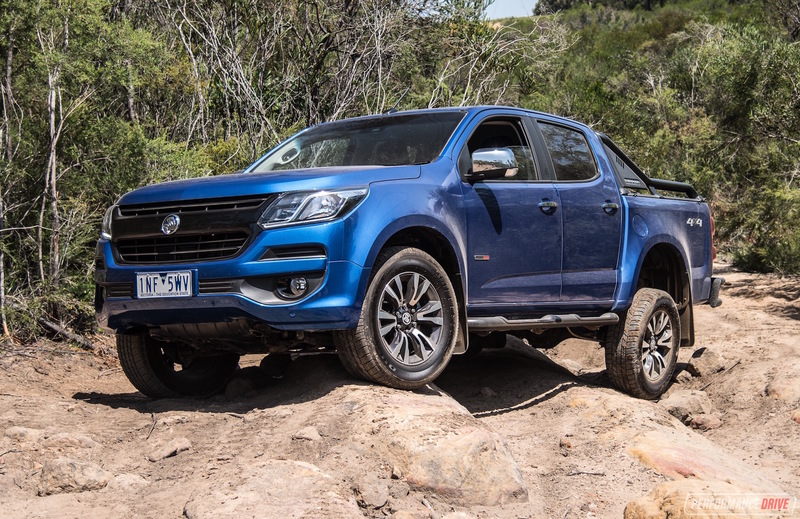 This means we weren’t able to test its off-road ability or take any decent photos. Luckily, we conducted most of our performance tests soon after picking it up, and we were able to put together our usual video for you. Some seven-seat SUVs offer seven seats but in reality they are being optimistic. Often the third row is extremely tight and only really designed for kids and those who enjoy serious yoga. This isn’t the case with the Discovery. 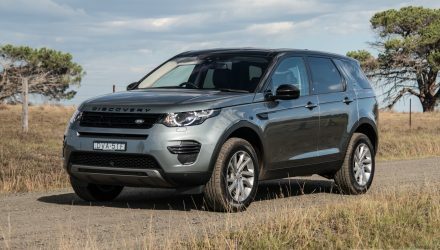 You’ll notice the external roofline rises up at the back which has become an entrenched design cue of the Discovery, kicked off with the first model in 1989. This bump in the roof means adults can enjoy riding in the third row. 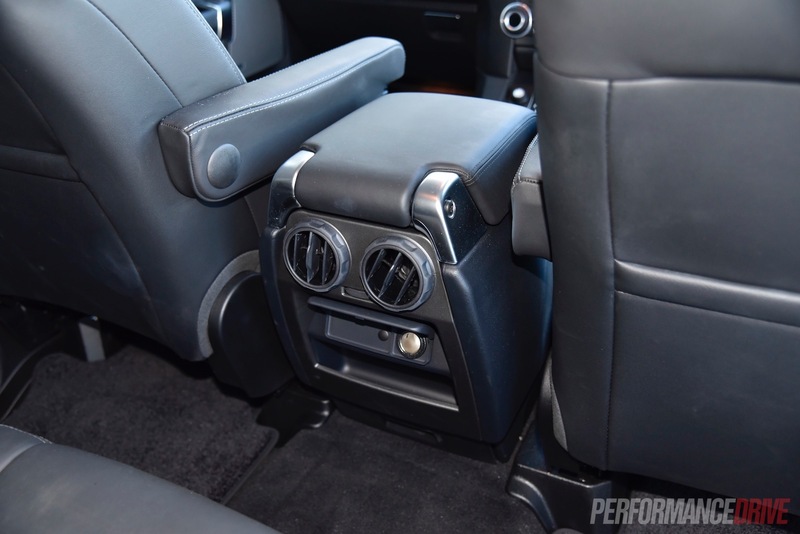 Land Rover has even fit very tall folding headrests to signal the intention of accommodating seven adults, along with deep footwells for decent legroom. 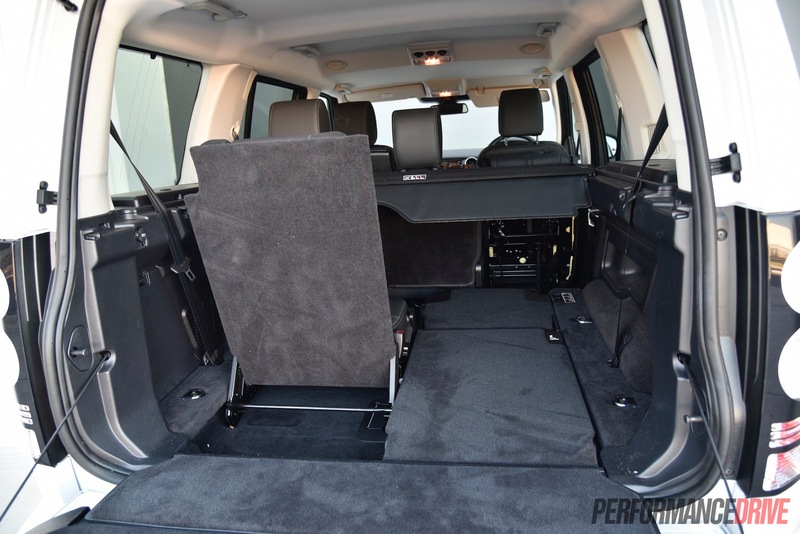 Taking a step up inside the Disco cabin in HSE form is like stepping into a high-end luxury motorhome. It is massive in here. The tall ceiling means headroom is never going to be an issue for anybody, and despite looking tall and skinny on the outside, the interior is well proportioned for width and includes a massive centre console in the front. 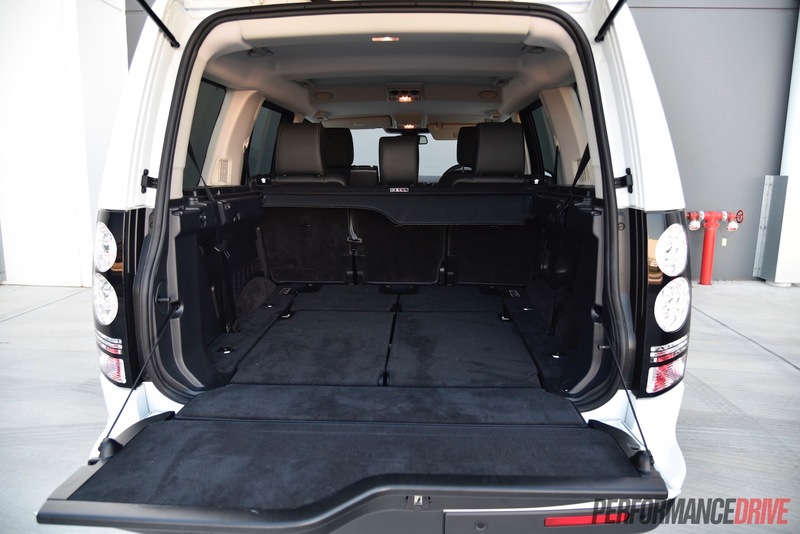 Boot space is also impressive, offering 1260 litres, expandable to a whopping 2558 litres using the versatile seating configurations. We think some design aspects are starting to age a little, despite Land Rover’s best efforts to keep it as up-to-date as possible. Some of the materials and the way the shapes and contours come together reminds us of its heritage. This can be taken as either a good thing or a bad thing. Traditional Land Rover fans will instantly warm to the setting while the geekier types will probably turn up their nose. 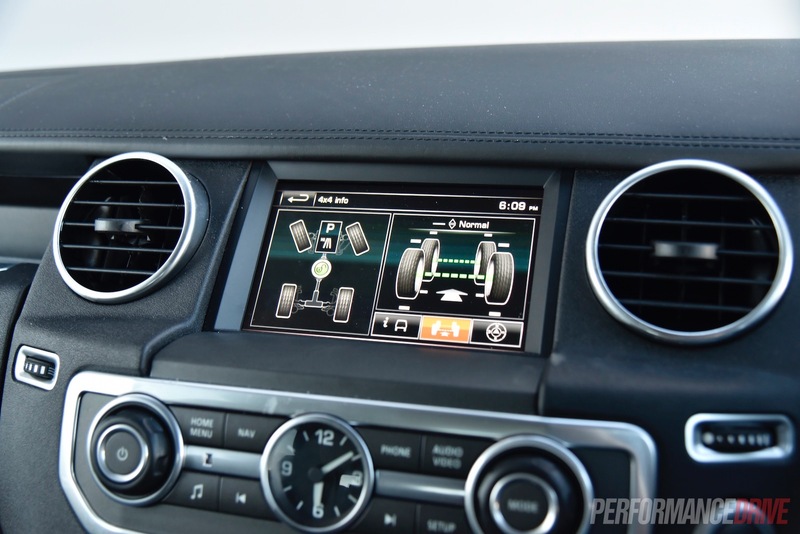 What is new is the touch-screen interface. 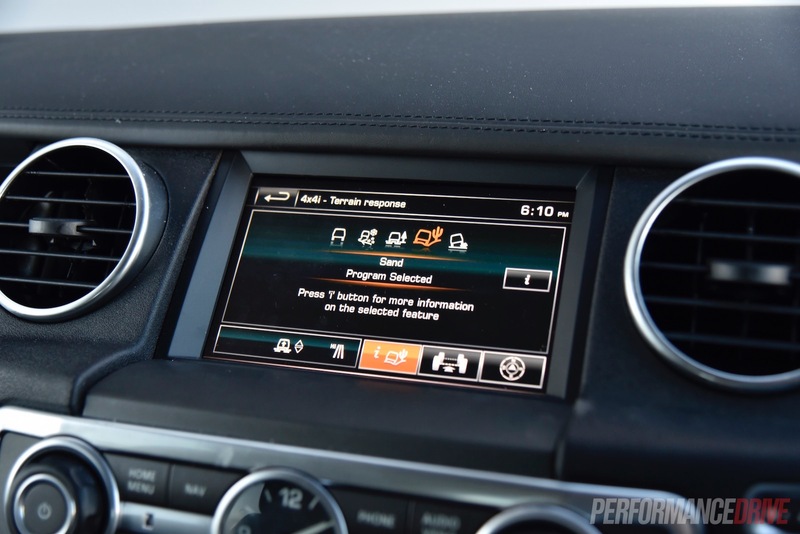 This is taken from Jaguar and Land Rover’s latest models and is fantastic to operate. The graphics are crystal clear and the menus and on-board apps are immediately fathomable. 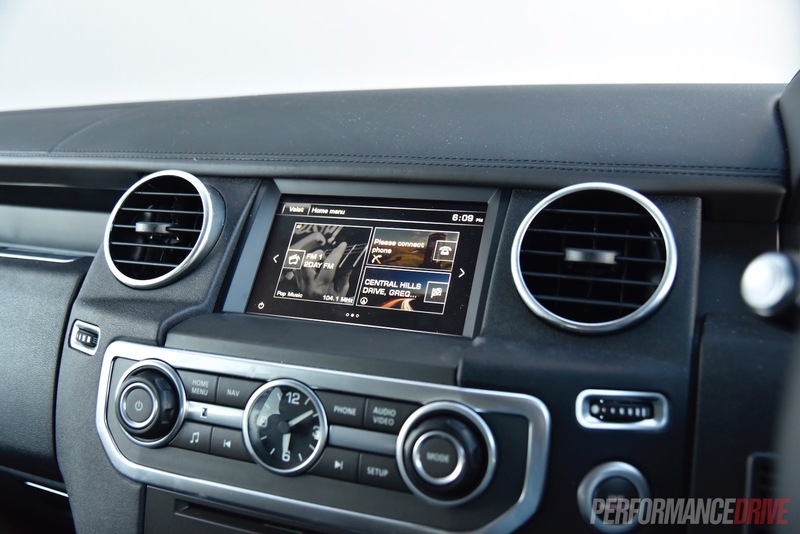 In HSE-spec it comes as standard with GPS sat-nav, an 11-speaker stereo, and a rear-view camera. As usual, buyers need to tick a few option boxes to receive more functionality, some of which we think shouldn’t cost extra. Rear cross-traffic alert is a great safety feature, especially on large SUVs like this, but it will set you back $700. A surround-view camera system is also $2000. 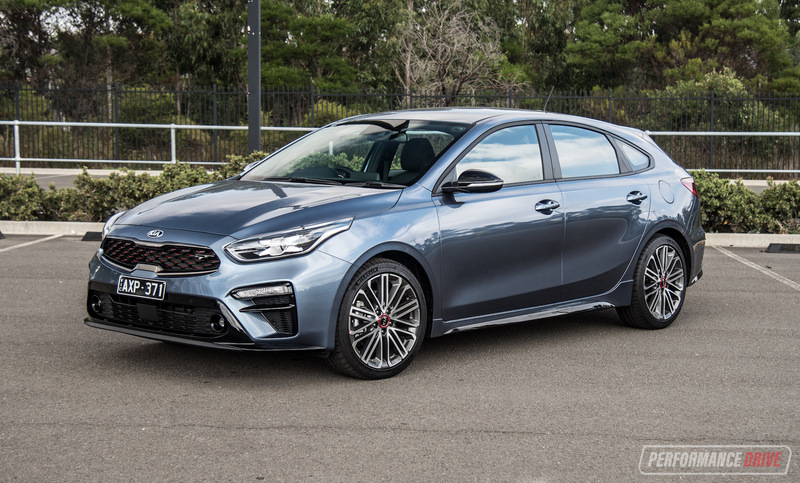 Meanwhile, luxuries such as digital TV reception ($1580), digital radio ($850), and a 17-speaker Meridian sound system ($2060) are available for those wanting first-class motoring. This test vehicle is fitted with the highly fashionable Black Design pack ($5170) giving it Range-Rover-like road presence. 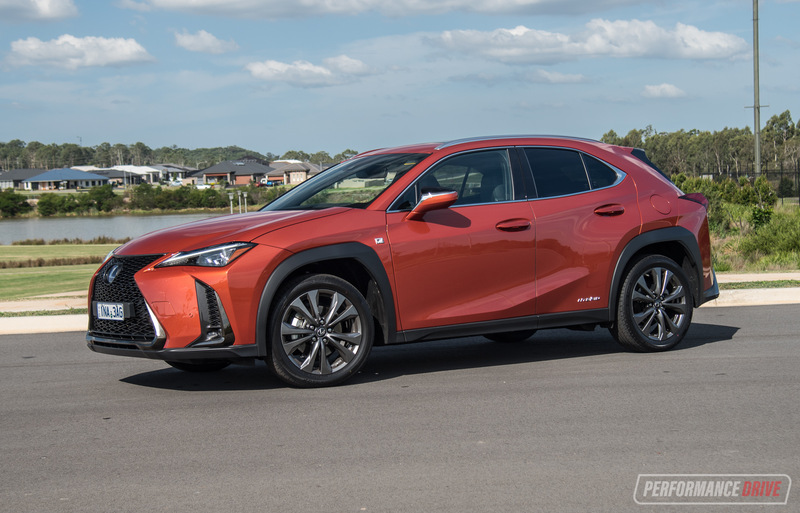 It includes black 20-inch alloy wheels wrapped in surprisingly aggressive tread, along with black roof rails, front guard vents, and tinted windows. 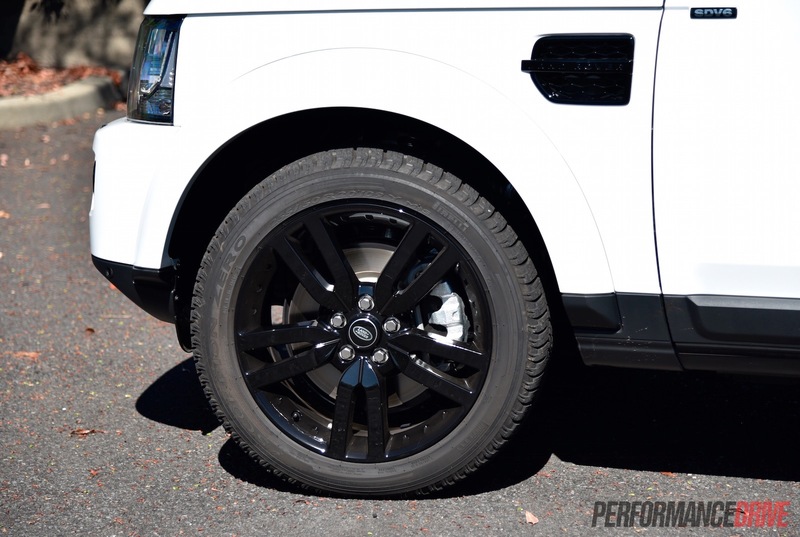 With the standard air suspension lowered right down, paired with the Black Design pack, the Disco presents a very cool street car stance. As anyone who has driven a Range Rover will tell you, there’s something distinctly dignified about the way its vehicles drive. This same charm is experienced with the Discovery. You sit perched up high in the driver’s chair, which comes with special fold-down arm rests… you feel like a captain as you drive along. It’s actually character-building and tends to go as far as boosting your own self-confidence, certainly on the road. 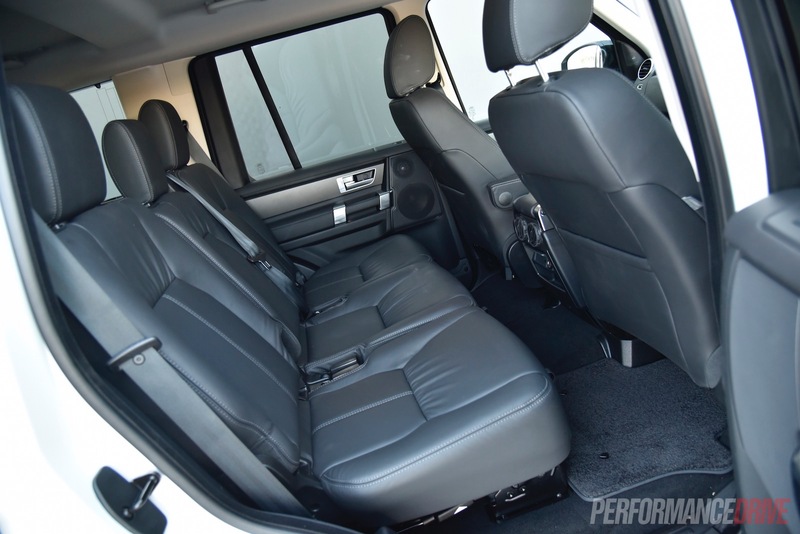 Sitting up high in your chair, with all that cabin space, it means the driving quality is paramount. This is one relaxing vehicle to drive. Out on the highway it just wafts along and eats up miles like an airliner. The air suspension (standard on all variants) provides exceptional ride quality too, adding to its kilometre-consuming ability. The great thing about a vehicle that has a heritage as extensive as the Discovery is the way everything comes together. The balance of every component and the way the car functions as one can only be achieved through years and years of evolution. 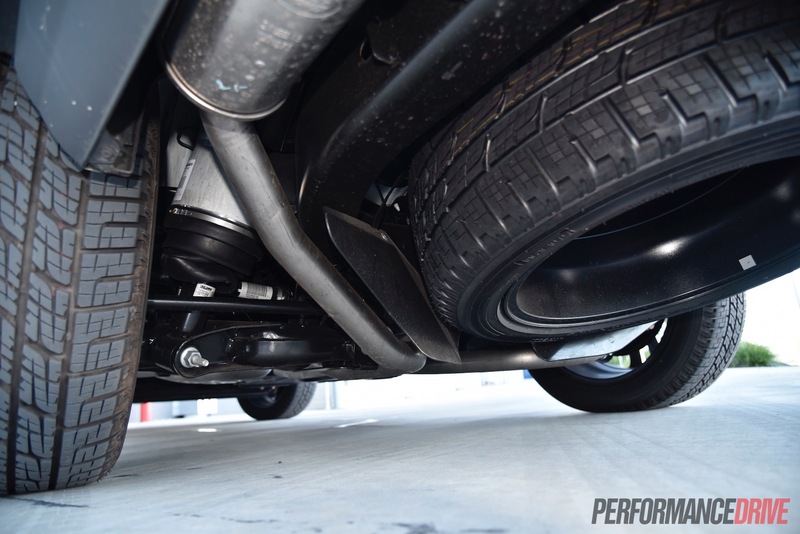 This brings us to the engine and transmission; it is perfect for this vehicle. 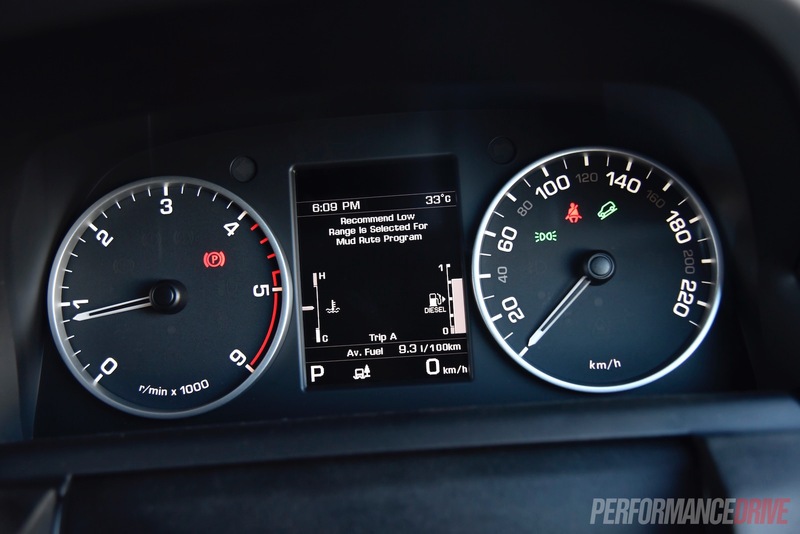 Maximum power is 183kW at 4000rpm and maximum torque is 600Nm at 2000rpm. There is nothing you’d want to change about the engine. It is very smooth, refined, and quiet, offering a beefy low-end thrum that transforms into an angrier V6 roar higher up the rev range. The delivery of the outputs are spot on too. 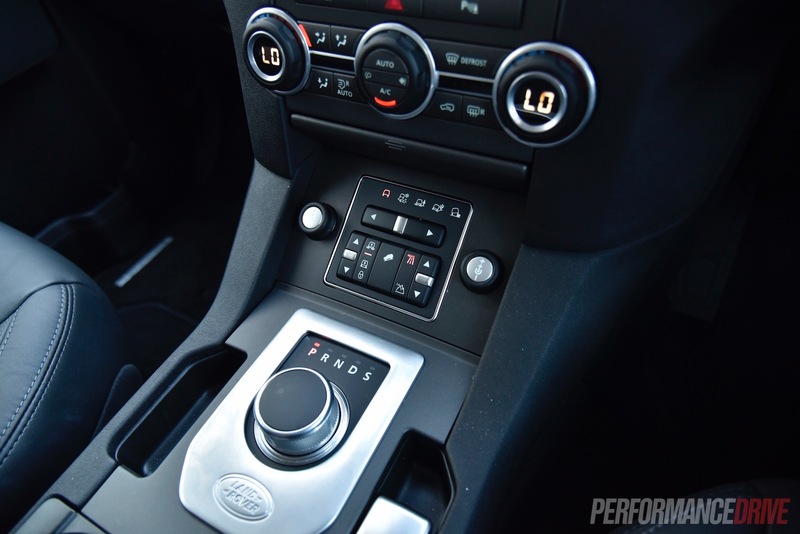 Torque comes in just off idle and there’s enough power there to perform overtaking duties with no hesitation. Off the mark the big beast, which weighs 2440kg (tare), has no trouble shifting, however, acceleration sprint times are effected by the weight. 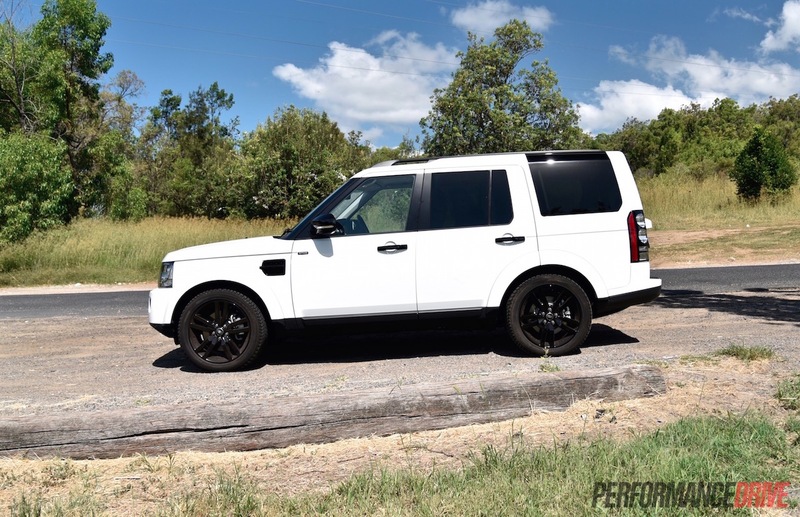 Our best 0-100km/h was 8.98 seconds, bettering Land Rover’s 9.3-second claim, with the quarter mile coming up in 16.23 seconds. Roll-on acceleration is much more palpable and enjoyable, and thanks to the weight, the sensation of speed and momentum is significant. Fuel economy is very respectable for a vehicle of this size and weight, and for the amount of power and torque the engine produces. The official rating is 8.8L/100km and we returned around 9.3L/100km during our drive. 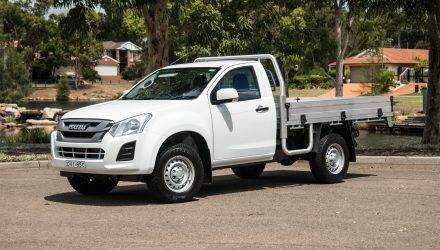 With the 82-litre fuel tank on board it offers a potential range of around 932km, using the official average consumption as a guide. Okay, so, what went wrong during our test? As we were driving up the M1 motorway, north, from Sydney toward Newcastle (planned to go to Redhead Beach for an off-road test), we noticed the engine light come on. 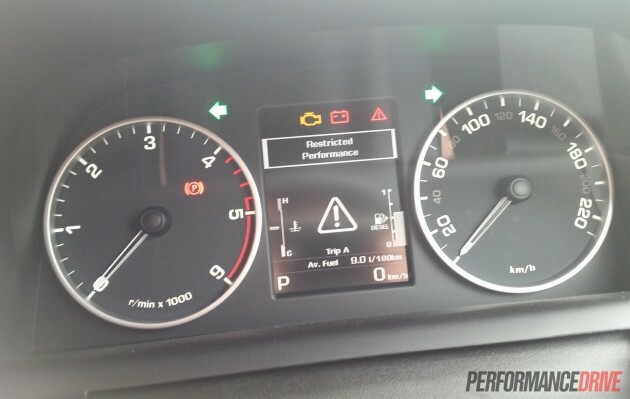 This was very quickly followed by no throttle at all, with the dash showing “restricted performance”. We had to change lanes as quickly as possible so we could safely come to a rolling stop just off the motorway. 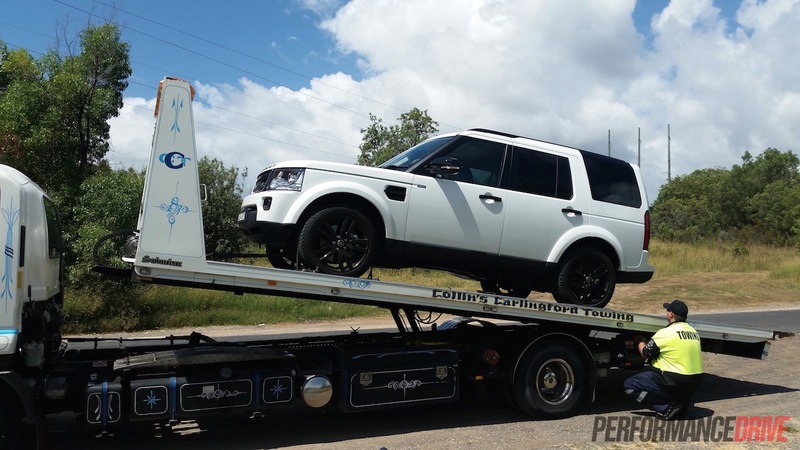 The fuel gauge was showing around 50 per cent at the time and the engine wouldn’t start back up, although it did crank over just fine. 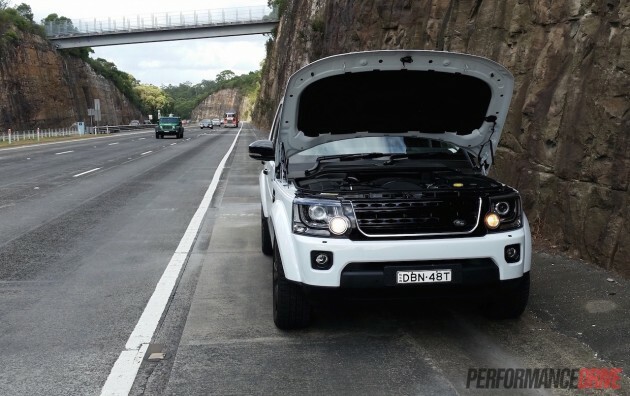 The NRMA plugged in a diagnostic tool which spat out a number of error codes, including P0087 and P1247, related to the fuel system. It turns out the car ran out of fuel. One of the fuel sender arms had seized in the tank, causing a false reading on the digital fuel gauge on the dash. We feel this was partly our fault for not filling the tank before setting off even though we had no way of knowing it was low. In the end though the sender arm should not have seized on a vehicle with just 2000km on the clock. This was a one-off situation and Land Rover Australia’s senior public affairs executive, James Scrimshaw, said the tech team had never seen this issue before on a Discovery. 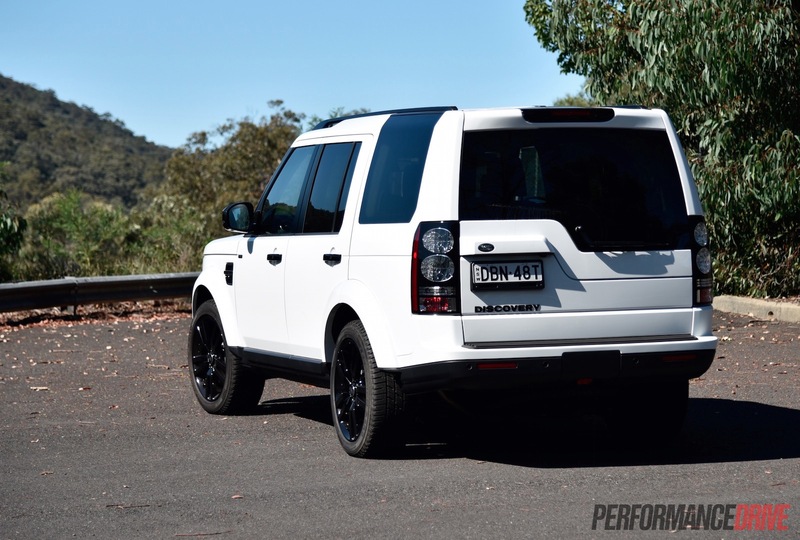 The worse part is, in our opinion, Land Rover doesn’t have the best reputation for reliability to begin with, consistently scoring in the lower bottom half of those huge American J.D. Power dependability surveys. And this is from a company that has been building SUVs since 1948; you’d think it would be on top of this by now. 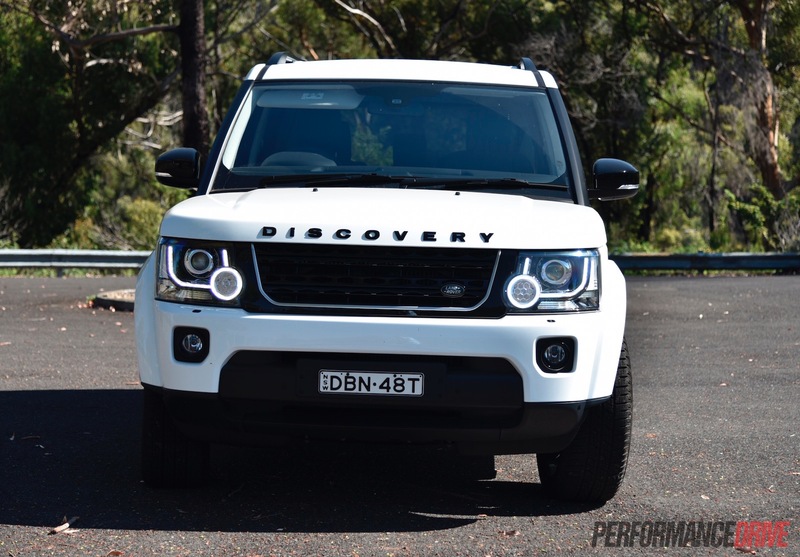 There isn’t much not to like about the Discovery 4. 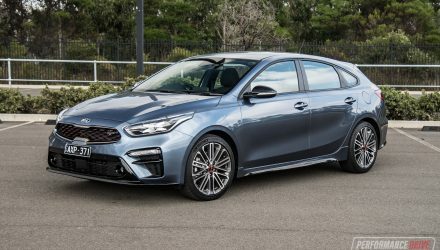 In HSE form it can be driven and treated as a pure luxury vehicle and there aren’t any compromises you have to make despite its off-road underpinnings. 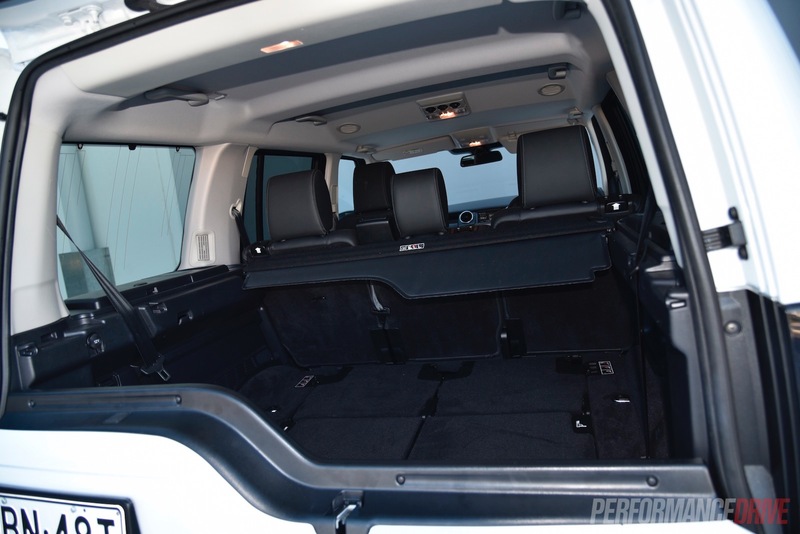 The stylish presentation of the Black Design package also heightens its road presence and luxury touring appeal. 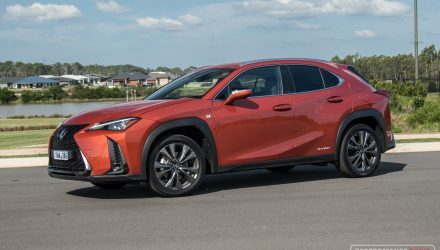 And although we didn’t get a chance to test its off-road ability, we’re sure it would perform flawlessly with its multi-mode “Terrain Response” system and height adjustable suspension. It’s unfortunate this test vehicle broke down. We were already planning to at least mention the company’s reliability history in this review. This turned out to be extreme bad luck. 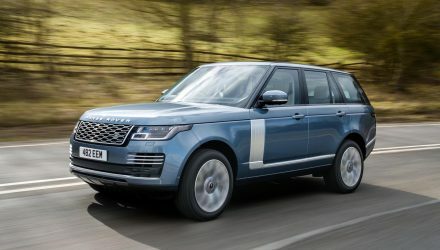 However, if we were the boss at Land Rover we’d probably stop spending so much time and money on coming up with suave designs and instead focus some attention on completely exterminating any notion or possibility of having anything but a perfect reputation. After all, the company does produce highly desirable vehicles. Tie this in with the dependability of a Japanese car, for example, and you’d have yourself an unstoppable set of machines. Please excuse the photos. We were planning to take some more (and nicer) exterior photos in a scenic setting but we were unable to due to the issues mentioned.